13 Above: When Even Politicians Bag A Nobel !! The Nobel Peace Prize has been awarded 89 times to 119 Nobel Laureates between 1901 and 2008 – 96 times to individuals and 23 times to organizations. Since International Committee of the Red Cross was awarded the Nobel Peace Prize in 1917, 1944 and 1963, and the Office of the United Nations High Commissioner for Refugees was awarded the Nobel Peace Prize in 1954 and 1981, that means 96 individuals and 20 organizations have been awarded the Nobel Peace Prize. 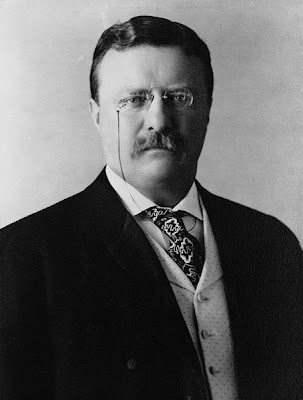 Here is a short list of those politicians who are globally successful for advocation and establishment of peace..
Theodore Roosevelt, known as Teddy Roosevelt (Roosevelt, Theodore known as Teddy Roosevelt, born October 27, 1858. In New York City, USA - died on January 6, 1919. Öyster in Bay, New York), the twenty-sixth president of the United States (1901. - 1909.) .Roosevelt amendment Monroovoj doctrine, which confirmed the position of the United States as a protector of the Western Hemisphere. Za posredovanje u rusko - japanskom ratu dobio je Nobelovu nagradu za mir ( 1906 ). For mediation in the Russo - Japanese War received the Nobel Peace Prize (1906). Thomas Woodrow Wilson (December 28, 1856–February 3, 1924)was the 28th President of the United States. A leading intellectual of the Progressive Era, he served as President of Princeton University from 1902 to 1910, and then as the Governor of New Jersey from 1911 to 1913. 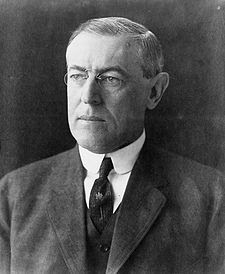 With Theodore Roosevelt and William Howard Taft dividing the Republican Party vote, Wilson was elected President as a Democrat in 1912. To date he is the only President to hold a doctorate of philosophy (Ph.D.) degree and the only President to serve in a political office in New Jersey before election to the Presidency..He went to Paris in 1919 to create the League of Nations and shape the Treaty of Versailles, with special attention on creating new nations out of defunct empires. Largely for his efforts to form the League, he was awarded the Nobel Peace Prize. 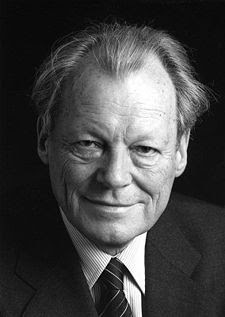 Willy Brandt, born Herbert Ernst Karl Frahm (18 December 1913 - 8 October 1992), was a German politician, Chancellor of West Germany 1969–1974, and leader of the Social Democratic Party of Germany 1964–1987.His most important legacy is the Ostpolitik, a policy aimed at improving relations with East Germany, Poland, and the Soviet Union. This policy caused considerable controversy in West Germany, but won Brandt the Nobel Peace Prize in 1971. Eisaku Satō (March 27, 1901 – June 3, 1975) was a Japanese politician and the 61st, 62nd and 63rd Prime Minister of Japan, elected on November 9, 1964, and re-elected on February 17, 1967, and January 14, 1970, serving until July 7, 1972. He was the longest serving prime minister in the history of Japan.Satō shared the Nobel Peace Prize with Seán MacBride in 1974. He died in Tokyo the following year. Muhammad Anwar Al Sadat, or Anwar El Sadat 25 December 1918 - 6 October 1981), was the third President of Egypt, serving from 15 October 1970 until his assassination on 6 October 1981. He was a senior member of the Free Officers group that overthrew the Muhammad Ali Dynasty in the Egyptian Revolution of 1952, and a close confidant of Gamal Abdel Nasser, whom he succeeded as President in 1970.The Egyptian–Israeli Peace Treaty was signed by Anwar Sadat and Israeli Prime Minister Menachem Begin in Washington, DC, United States, on 26 March 1979, following the Camp David Accords (1978), a series of meetings between Egypt and Israel facilitated by U.S. President Jimmy Carter. Both Sadat and Begin were awarded the Nobel Peace Prize for creating the treaty. 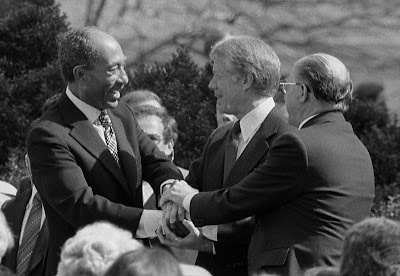 In his acceptance speech, Sadat referred to the long awaited peace desired by both Arabs and Israelis. 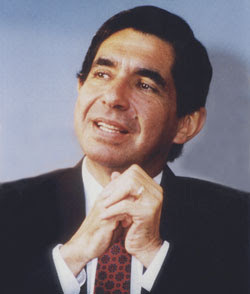 Óscar Rafael de Jesús Arias Sánchez (born 13 September 1940) is a Costa Rican politician who has been President of Costa Rica since 2006. He previously served as President from 1986 to 1990 and received the Nobel Peace Prize in 1987 for his efforts to end civil wars then raging in several other Central American countries.Arias received the 1987 Nobel Peace Prize with the help of John Biehl, his peer in England, and Rodrigo Madrigal Nieto for his work towards the signing of the Esquipulas II Accords. This was a plan intended to promote democracy and peace on the Central American isthmus during a time of great turmoil: leftist guerrillas were fighting against the governments in El Salvador and Guatemala, which were backed by the United States under the auspices of the Cold War; the Contras, supported by the United States. Mikhail Sergeyevich Gorbachev (Speaker Icon.svg listen); born 2 March 1931) was the second-to-last General Secretary of the Communist Party of the Soviet Union, serving from 1985 until 1991, and the last head of state of the USSR, serving from 1988 until its collapse in 1991. 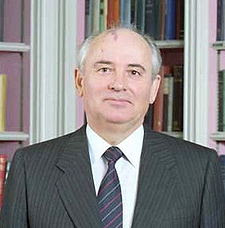 He was the only Soviet leader to have been born after the October Revolution of 1917.Gorbachev's attempts at reform as well as summit conferences with United States President Ronald Reagan and his reorientation of Soviet strategic aims contributed to the end of the Cold War, ended the political supremacy of the Communist Party of the Soviet Union (CPSU) and led to the dissolution of the Soviet Union. He was awarded the Nobel Peace Prize in 1990. 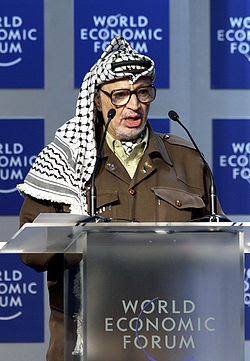 Yasser Arafat (Born-August 24 1929 in Cairo as Muhammad Abd al-Rauf Arafat al-Kudwa al Hussajni, also known as Abu Ammar, died. November 11 2004 in a military hospital Percy in Clamart) most known politician and leader of the Palestinian, Nobel Peace Prize in 1994 r, Man of the Year 1993 by the magazine Time, together with Nelson Mandela, Frédéric de Klerkiem and Yitzhak Rabin. 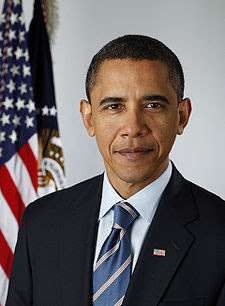 Barack Hussein Obama II (Speaker Icon.svg listen); born August 4, 1961) is the 44th and current President of the United States. He is the first African American to hold the office, as well as the first born in Hawaii. Obama previously served as the junior United States Senator from Illinois from January 2005 until he resigned after his election to the presidency in November 2008.He began his run for the presidency in February 2007. After a close campaign in the 2008 Democratic Party presidential primaries against Hillary Clinton, he won his party's nomination. 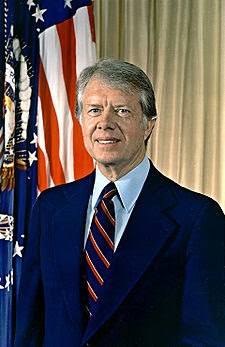 In the 2008 general election, he defeated Republican nominee John McCain and was inaugurated as president on January 20, 2009. On October 9, 2009 Obama was awarded the Nobel Peace Prize.